As Congress continues to move toward repealing part or even all of Obamacare, it’s not surprising that other health care news has fallen off our radar. Last week, however, the Centers for Medicare & Medicaid Services, the agency that oversees Medicare, released some very upsetting results of a study that reviewed the accuracy of the directories of health care providers in the networks used by Medicare Advantage plans. These networks are a central component of Medicare Advantage plans, and the accuracy of network details clearly is significant for people who enroll in the plans. Most Medicare Advantage plans either prevent people from using providers not in their networks or charge them higher rates for out-of-network care. It’s thus very important that people review a plan’s network directory and make sure it meets their needs before enrolling in the plan. Are their doctors, hospitals and other providers in the network? If not, the plan might not be their best Medicare option. There was at least one mistake in nearly 47 percent of the provider reviews and nearly that many among all locations. There have been widespread reports of inaccuracies in these directories. But the study nevertheless comes as a shocker. It found that nearly half of directory entries were inaccurate in the plans it reviewed. The Centers for Medicare & Medicaid Services reviewed more than 5,800 health care providers offering care at more than 11,600 locations. The directories were provided by 54 Medicare Advantage Organizations that represented about a third of all Medicare Advantage providers. The study reviewed entries for four widely used doctors — cardiologists, oncologists, ophthalmologists and primary care physicians. 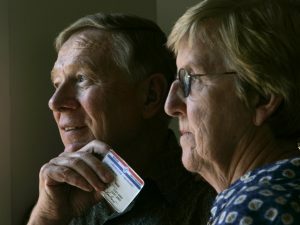 Each provider’s office was called to verify that their name and contact information was correct, they saw patients at the address contacted, accepted the Medicare Advantage plan that listed them in its directory and if the directory was accurate in describing whether the practice was now seeing new Medicare Advantage patients. There was at least one mistake in nearly 47 percent of the provider reviews and nearly that many among all locations. They were widespread and not concentrated among a few providers. And they were not clerical errors. We found that providers were not located at about 31 percent of the locations listed in the provider directory. This finding means that if a member were to look up a provider/location in an MAO directory, he/she would be unable to make an appointment with that provider because the provider did not work at that location. In about 1,162 of these cases, the provider associated with these locations did not work at any of the locations identified in the online directory. For example, if a provider were listed at three locations in the directory, CMS’s review found that the provider was not at any of the three locations identified. Given that the provider was not at any location listed in the directory, this finding raises concerns about whether these providers are even part of the network. The report did not identify specific Medicare Advantage insurers. A story by Kaiser Health News identified 21 insurers the agency warned to fix the problems. Overall, of the 54 Medicare Advantage Organizations whose networks were reviewed, the Centers for Medicare & Medicaid Services issued 31 notices of non-compliance, 18 warning letters and three warning letters that asked that the agency be provided with a business plan. Medicare enrollees need to do their own due diligence here. Do not assume that a plan’s provider directory is accurate. Call the offices of your primary physician and any specialists you see. Make sure the hospitals they prefer are also in your plan’s directory. Debra – N.M.: I’ll turn 62 shortly and understand that I will not be eligible under the new Social Security law to file and suspend. I also know the severe downside of claiming before reaching my full retirement age. Therefore, I plan to wait until I’m 66 and two months to file, but I may not be able to wait that long, as I’m currently unemployed. I divorced over 10 years ago and do not have contact with my ex-spouse, who will turn 70 in July 2017. I believe he earned substantially more than me. My questions are: A) What is the most timely way for me to accurately determine when he dies? B) Without actually filing a claim for my benefit, will the Social Security Administration tell me when he filed? c) Will the Social Security Administration give me an accurate estimate of my spousal benefit (which I believe is 50 percent of his full retirement age benefit before his death and 100 percent after he’s deceased)? Phil Moeller: This is a great question, and I only wish I had a great answer. Unfortunately, personal privacy considerations can make getting this information from Social Security very difficult. Without filing a claim, you really can’t demand this information from Social Security, although I think it would be nice if you could. One approach I’d suggest is to call Social Security and tell them you’re thinking of filing a claim for your own retirement benefit. Tell them you understand that making this filing, even after you’ve reached your full retirement age, will also subject you to the new deeming rules enacted last year. Tell them you think your former husband has already filed for his retirement benefit, and you thus wonder whether deeming will provide you an excess spousal benefit in addition to your own retirement benefit. This will only happen if your ex-spousal benefit is higher than your own retirement benefit. Make it clear that this is only an informational call and that you can’t make the decision about whether to actually file for benefits until you know if you’re entitled to an ex-spousal benefit and if they tell you how much that would be. This information, of course, will also give you a clue as to what your ex-spousal survivor benefit would be. However, your ex-spousal survivor benefit is not 100 percent of his full retirement age benefit, but up to 100 percent of what he was actually collecting, or the amount he was entitled to collect at the time of his death. If he filed for retirement before his full retirement age, your survivor benefit will be reduced; likewise, if he deferred filing until after his full retirement age, your survivor benefit will be greater than his full retirement age entitlement. Do not expect Social Security to let you know when a former spouse has died. If you’re collecting ex-spousal benefits off of his earnings record, they should alert you to his death and to the possibility of getting an additional survivor benefit. However, there may be a long lag time between his death and this communication. And if you’re not collecting a benefit based his earnings record, the agency would have no basis for even knowing that you used to be married and that his death thus might affect your own benefits. I know this information can be confusing, and the process is difficult to navigate. You have learned a lot about how Social Security benefits work, and I urge you to keep working to get all the benefits to which you’re entitled. Ed: I suspended my Social Security until I turned 70 last November. I was paying $121.80 in monthly Medicare premiums, since I was not on Social Security and was not held harmless. Now that I am, my Social Security statement says I will be paying $132 for 2017. I thought once I received Social I would be “held harmless” and drop back to the $109 for 2017 like my spouse, who has been receiving Social Security since she was 65. Am I wrong? Also, why is my monthly premium not $134, which is what Medicare says it should be? Phil Moeller: My crystal ball for divining Social Security decisions has been cracked beyond repair by the nutty hold harmless rules for 2017. While people are being held harmless for 2017, this does not mean their Part B premiums won’t increase. It just means they can’t increase by more than the measly 2017 COLA of 0.3 percent. So, for example, if your benefit was $2,000 a month, the cost of living adjustment, or COLA, would raise it by $6 a month, and this is the maximum amount that your Part B premium would rise in 2017. It seems unlikely that this math would explain why your premium would rise from $121.80 to $132. That’s $11.20 more. Your monthly benefit would need to be nearly $4,000 a month to explain such an increase in terms of the 2017 COLA. And this would be larger than the current ceiling on benefits. So I assume something else is going on. Only I don’t know what! Under Social Security rules, the fact that you had Part B deducted from your December Social Security payment means that you should be in the hold harmless group for 2017. If your income was higher enough to trigger the high-income premium surcharge, which you say was not the case, the surcharge would be much larger than the increase you are being charged. So I would think your 2017 Part B premium should be $121.80 plus 0.3 percent of your expected 2017 monthly Social Security payment. I’d calculate this amount and then get in touch with Social Security to try and change the amount of your Part B deduction. And, as you note, if you were mistakenly not held harmless, your monthly Part B premium for 2017 should be $134. Please let me know how things turn out. If there is a logical reason for the agency’s decision, I’d like to know what it is. Catherine: I now receive a Social Security spousal benefit and applied for Medicare in December. This has permitted me to be held harmless and shielded from those big Part B premium increases. However, when I switch to my own retirement benefit at age 70, will I be considered a new applicant and thus no longer in the hold harmless group? One person at Social Security told me that I would be subject to a higher premium and would be considered a new applicant filing under my own Social Security number and not my husband’s number. Another representative said no, that the premium would just come out of my new Social Security claim. I tried to answer this question by calling Medicare, but they referred me back to Social Security. Phil Moeller: Your “hold harmless” status is determined by your initial Social Security benefits claim. If you later file for another benefit, you should not be considered a new applicant. You will not be held harmless for 2017, however. It takes Social Security a month to begin withholding Part B premiums from your benefits. So, even though you may have filed for Part B last December, your first withholding payment shouldn’t have occurred until January, thus preventing you from being held harmless this year. Roberto – Calif.: My wife started receiving Social Security when she turned 62 last October. I am 60 years old now. My problem is that the Social Security office told me that I need about four more quarterly work credits to be eligible to receive Social Security, and I don’t think I will be able to work enough to earn them. Can I apply for spousal benefits when I turn 62 in 2018? Her monthly Social Security is $954. Would I be eligible to receive half of that amount, or $477, when I turn 62 years old? Phil Moeller: It’s unfortunate you won’t have enough credits to qualify for your own benefits. You can file for a spousal benefit based on your wife’s benefits, but it will be different than half of her age-62 benefit. There are two sets of calculations you need to understand or at least ask Social Security about. The first involves the basis on which your spousal benefit is calculated. It’s not what your wife is actually receiving, but what she would have been entitled to receive if she filed for retirement benefits at the age of 66, which is called her full retirement age. There’s a reduction for filing before this age, so the good news for you is that this figure is as much as a third larger than what she is actually collecting. The precise difference depends on how old she was when she filed. The maximum amount of your spousal benefit will be, as you noted, half of this figure. In order to collect this large of a benefit, however, you would have to wait to file for it until you reached your full retirement age. The full retirement age is getting later for anyone born after 1954, and this includes you. The crucial thing to note here is that if you file for a spousal benefit before reaching full retirement age, you will be hit with an early spousal reduction that could exceed 30 percent. I understand that you might need the money right away. But the longer you can wait to file past the age of 62, the higher this benefit will be for the rest of your life. Beth – Ga.: I have two questions about Medicare’s high-income surcharges. First, are these surcharges applied to Medicare Advantage plans, specifically a Medicare Advantage plan with drug coverage, or does this option exclude a surcharge? Second, if my employer offers a retirement package that includes a drug benefit equal to or better than a Part D drug plan, will there be a surcharge for the employer’s coverage? 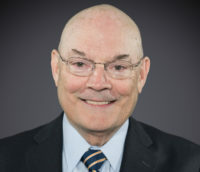 Phil Moeller: If your Medicare Advantage plan includes Part D drug coverage, and most Medicare Advantage plans do, you would have to pay an IRMAA surcharge. You didn’t ask, but you’d also have to pay an IRMAA surcharge on Part B premiums. You have to have Part B to even sign up for a Medicare Advantage plan and must pay those premiums. If your employer offers retiree drug coverage, and you pay for it separately and apart from any Medicare coverage or charges, you would not pay IRMAA surcharges on that drug plan. Terry – British Columbia: I have Part A of Medicare, and I receive Social Security payments. I’ve lived permanently in Canada since 2003. My question is: When I am traveling in the U.S., am I covered by Medicare (Part A) for hospital care should it become necessary? I have been buying supplemental insurance to make up the difference in costs between the Canadian and U.S. systems (which is huge). Phil Moeller: Welcome to my world! I get uninterpretable answers from Medicare all the time. And this is when they answer me at all. According to the Social Security Administration, which handles a lot of Medicare administrative work, your Part A will cover you for hospital expenses received in the United States. The last time I looked, however, it was impossible to be hospitalized without being treated by health care providers! Unless you have Part B coverage, either directly or in a Medicare Advantage plan, the expenses of healthcare providers who treat you in the U.S. would not be covered. I am not sure what kind of supplemental insurance you have purchased, but unless it specifically addressed this situation, you would be exposed to big health care bills.